Delivering ‘Best of British’ technology to the very heart of its lighting technologies has long been an initiative pursued by Tamlite Lighting – one of the UK’s largest privately owned lighting manufacturers. 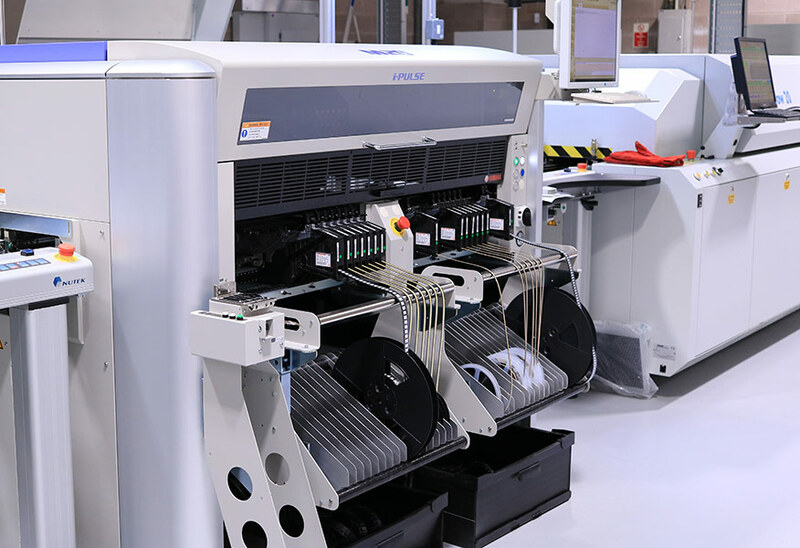 Now, the company has announced the culmination of £½M+ investment in its own UK production facility to manufacture high performance LED printed circuit boards (PCBs). This significant investment is further proof of Tamlite’s continued commitment to its Best of British initiative – a philosophy which demonstrates the company’s pledge to homegrown innovation and high standards of quality and service. Manufactured under the Tamtec brand, the LED circuit boards will enable Tamlite’s product design team to respond even more quickly to the fast-moving changes in LED technology. For Tamlite’s luminaire brands, the ability to source high quality circuit boards from its own UK-based in-house manufacturer, will help to cut lead times for product supply and development across much of the product range. The Tamtec facility benefits from the very latest advances in surface mount and associated technologies for single-sided PCB production. Quality control remains paramount and fully-automated production processes mean that the need for manual handling of each board is virtually eliminated. In addition, a further level of confidence in final PCB quality is assured by the presence of an advanced machine vision system, which is able to inspect each board at component level. Such technology helps to uphold the strict quality control parameters that are in place throughout the process. The investment in the Tamtec facility is part of a much wider wave of commitment to further strengthen the company’s offer to customers. In the last three years, Tamlite has spent over £4 million on product research, development, tooling and production resources. This figure is in addition to a £500k+ investment in its showrooms during 2015/16. The company remains committed to further investment during 2017, which is also its 50th anniversary year.